Dr. Edward Cha is a board-certified medical oncologist based in San Francisco, California. He did his medical school at the Columbia University College of Physicians and Surgeons. 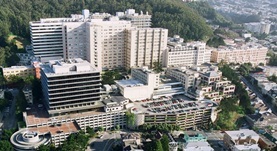 Then, he did a fellowship in hematology/oncology at the UCSF. Dr. Cha has been practicing for about 20 years and is specialized in the treatment of different kinds of mesothelioma and cancer arising in the lungs, larynx, and ovaries. He is currently affiliated with the UCSF Medical Center and has also contributed to several research papers. Dr. Edward Cha has contributed to 3 publications. Is there a role for immune checkpoint blockade with ipilimumab in prostate cancer? Cha, E.,Small, E. J.; Cancer Med. 2013 Apr. NRAS-Mutant Melanoma: Response to Chemotherapy. Soon, C.M., Algazi, A.P., Cha, E.N., Webb, E.M., Daud, A.I. ; Arch Dermatol. 2011 May. New horizons in melanoma treatment: targeting molecular pathways. Soon, C.M., Algazi, A.P., Cha, E.N., Daud, A.I. ; Ochsner J. 2010.